Asian Music Network, an interview with DJ Sniff, by C-drík. In 1969, South Korean artist Seok Hee Kang founded the Pan Music Festival where himself and Hwang Byungki performed a piece for daegeum and tape, four years later, in 1973, the Asian Composers League was founded in Hong Kong with the aim of fostering contemporary music which uses both Western and Asian Pacific instruments. 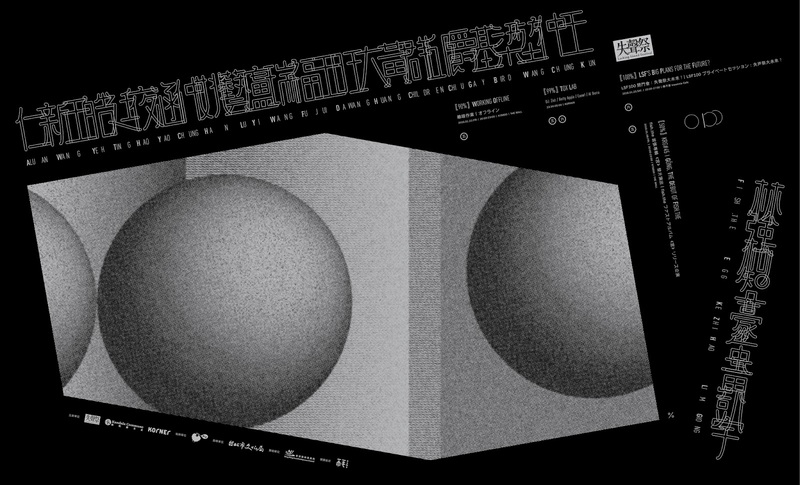 The Asian Music Network festival 2015 took place in Tōkyō and Kyōto and was the first avant-garde festival in the region to include such a large variety of artists from east and south east Asia : dj sniff (Hong Kong), Bin Idris (Bandung), To Die (Yogyakarta), Iman Jimbot (Bandung), Kok Siew Wai (Kuala Lumpur), Leslie Low (Singapore), Yuen Chee Wai (Singapore), Yui-Saowakhon Muangkruan (Bangkok), Nguyễn Hong Giang (Ho Chi Minh), Lương Huệ Trinh (Hanoi), Sachiko M (Tokyo), Tadashi Yonago (Osaka), Tatsuhisa Yamamoto (Tokyo), Kimiya Sato (Tokyo), Shinobu Kawai (Tokyo), Tamura Fumitake (Tokyo), KΣITO (Tokyo), Ai Watanabe (Tokyo), Ryoko Ōno (Nagoya), Ōtomo Yoshihide (Tokyo). The 2016 festival will be held in Tōkyō, Kōbe and Kyōto, from the 5th until the 12th of February and featuring the following artists : Ōtomo Yoshihide (Tokyo), dj sniff (Hong Kong), Fiona Lee (Hong Kong), Okkyung Lee (New York), Pete TR (Bangkok), Skip Skip Ben Ben (Taipei), Natalie Alexandra Tse (Singapore), Krisna Widiathama (Yogyakarta), Son X (Hanoi), Yong Yandsen (Kuala Lumpur) and guest Japanese artists Umeda Tetsuya, True Oshiro, Takahiro Kawaguchi, Toshio Kajiwara, Doddodo, Yoko Higashino, Mizuuchi Yoshito, Katsura Mouri and more ! Feel free to listen to the following mix prepared by dj sniff that include the 2016 participants and some of their projects while reading the interview. 1. How did you and Yuen Chee Wai got the idea to create the pan Asian network ? The idea originates from Ōtomo Yoshihide’s long standing work in trying to connect experimental musicians, in mainly East Asia, with Japanese musicians and the public. Ōtomo worked extensively in Hong Kong during the early 90’s, and since early 2000’s he had been playing in China and Korea which evenly lead to his band FEN with Yan Jun, Ryu Hankil and Yuen Chee Wai. In 2005, he organised the first Asian Meeting Festival which was born out of both an optimism towards new communities enabled by the internet, and fear that it is also accelerating hate speech and xenophobia in Japan. Since my time at STEIM in Amsterdam, I was always trying to invite any Asian musician that was on tour in Europe, and Chee Wai was also active in organising events that featured Asian experimental musicians in Singapore. I moved to Hong Kong in 2012 after finding Europe being utterly dead, and wanting to tour more in Asia. 2. Do you have more logistic and financial ease and possibilities in Japan than in, let’s say Hong Kong or Singapore ? For our project Ensembles Asia / Asian Music Network, yes, because we are funded by The Japan Foundation Asia Center (国際交流基金アジアセンター) which is a government cultural body. Ōtomo was invited to lead a new project that focussed on cultural exchange between South East Asia and Japan, and he invited me and Chee Wai. Japan also has a larger audience and generally better infrastructure than Hong Kong or Singapore, so that helps too. 3. I noticed that step by step, some networks are being build in Asia, connecting musicians and organisers to each other : Asian Music Network, FEN, Border Movement. Seeking independence ? It is still a challenge. Generally Asian people would rather work with people from the West for such cultural projects. It has to do with local prestige and also not wanting to be confronted with long history of dispute between neighbouring countries. For us we have to be very careful in running a project supported by Japan in Asia – scars from war don’t disappear that easily. 4. Does living in Hong Kong makes it easier for you to connect people together and travel around than when you were in Japan ? I don’t know if it makes it easier, but it does give me an identity and edge within the scene. I haven’t lived in Japan for more than half of my life now, so I can get away with being “ignorant” to certain local conversions or political tension – that is quite convenient. 5. Would you organise the festival or some other events in other Asian countries and outside of Asia, such as FEN slowly does ? Yes, we are trying to do this more. Our vision is that we develop programs and collaborations that take place initially in Japan, but can be brought to other cities. This is very challenging because each country has their own difficulties, but what we keep hearing is that it’s much more difficult than we think for South East Asian artists to connect with each other. We hope we can be a catalyst for new forms of collaboration within the region. Also we would like to bring these artists to Europe and North America as well. This is of course to introduce them to a wider audience but also playing in Western countries significantly helps them back home to receive recognition or funding. Some recommendations, references and links. Asian Music Network is part of Ensembles Asia, that also includes Asian Sound Research (a project started in 2014, directed by Japanese musician Sachiko M that focuses on sound art research, including Malaysia, Cambodia, etc.) and Ensembles Asia Orchestra (a project launched in 2014, with the mission of creating a free-form orchestra that engages with people who are not professional musicians. The project is organized by the Japan Foundation Asia Center, with musician Ōtomo Yoshihide as artistic director. Ensembles Asia Orchestra aims to uncover new and unprecedented ways of making music and connecting with people, by sharing the joy of making music and fostering communication with people from elsewhere in Asia – site in Thai, Japanese, Indonesia, Tagalog and English). You can follow Asian Music Network 2015 on Soundcloud. And see a few interviews and short live extracts here. FEN (Far East Network) recently performed at the Festival All Ears in Norway. FEN is an improvised music project group made up of musicians from different parts of Asia. The quartet comprises Ōtomo Yoshihide (Japan), Ryu Hankil (South Korea), Yan Jun (China) and Yuen Chee Wai (Singapore). FEN was started by globally renowned musician Ōtomo Yoshihide and it made its debut in 2008 at MIMI Festival in Marseilles, France. Following its début, FEN has performed extensively throughout Europe and all across Asia. Border Movement is a platform that aims to encourage interaction between the electronic music scenes of South Asia (Afghanistan, India, Bangladesh, Sri Lanka, Pakistan) and Germany. Border Movement tends to be more on the dance side than FEN and Asian Music Network but includes also a few sound experimentalists. Syrphe contains a database which included more than 1500 references of artists, venues, radios, labels, magazines, networks working in the field of alternative electronic music, electro-acoustic, free improv, noise, electronica, chiptune, breakcore, industrial, ambient and more, it is regularly updated. Some pan-Asian compilations (and beyond for one and we need more like this !). Live at Htein Lin’s Studio / 7000 Padauk, Yangon, Myanmar, (Syrphe, 2014, digital), an compilation of live recording made in Yangon, Myanmar and featuring six artists mostly living there and coming from Asia and Europe. Free download. Art of the Muses (Syrphe, 2012, CD and digital), an experimental music compilation featuring 10 female composers from far east Asia (Japan, South Korea, Vietnam, Indonesia, Singapore, Malaysia, Taiwan, China, Singapore). Beyond ignorance and borders (Syrphe, 2007, CD and digital), an African, Middle-Eastern, Asian noise and electronic compilation which includes electronic, experimental and noise artists from 21 Asian and African countries (Vietnam, Hong Kong, Mongolia, Philippines, Thailand, Israel, Taiwan, China, South Korea, Lebanon, Indonesia, Turkey, Egypt, Morocco, Singapore, South Africa, Laos, Tibet, Algeria, United Arab Emirates, Malaysia). Soundtracks For Bride Of Sevenless (Auscultare Research, 1998, CD), 12 noise and sound artists from Japan, Taiwan, Hong Kong. Eternal Blue Extreme: An Asian Tribute To Derek Jarman (Somnus, 1994, CD), 9 noise, experimental and industrial artists from Japan, Hong Kong and Taiwan. If you happen to be in Berlin in early February, I (C-drík) will give a lecture during CTM festival : An introduction to electro-acoustic, noise and experimental music in Africa and Asia, 2 February, 13h, Kunstquartier Studio 1 . My new essay Power through networking : reshaping the underground electronic and experimental music scenes in East and South East Asia will also be available in CTM Magazine to be out very soon. More info soon ! Author SyrphePosted on January 24, 2016 January 24, 2016 Categories Article, Audio, Festival, InterviewTags 2015, 2016, Asia, Asian Music Network, Avant-garde, Border Movement, East Asia, electronic, Ensembles Asia, experimental, Far East Network, FEN, Hong Kong, Japan, Malaysia, music, network, Singapore, South East Asia, South Korea, Taiwan, Thailand, vanguardLeave a comment on Asian Music Network, an interview with DJ Sniff, by C-drík. Some news, music and video selection. Meet the Barcelona DJ Who Played a Set at a Refugee Camp in France, an interview about Filastine and Indonesian singer Nova Ruth who played in Calais. If you’ve never heard them, you can check this wonderful video clip. For the Cairo Book-Launch of the Norient Book «Seismographic Sounds – Visions of a New World» (20.11.2015) the contributors Rami Abadir, Bosaina, Maha El Nabawi, Yara Mekawei, Angie Balata and Thomas Burkhalter collected some of their favorite current tracks from Cairo. The playlist contain tracks that range from post rock to electronica, alternative hip hop, ambient and so on. CTM 2016 will host a special edition of the “Seismographic Sounds. Visions of a New World” exhibition, created with Norient (International Network for Local and Global Sounds and Media Culture), an innovative network that explores issues of globalisation and digitisation. For the exhibition’s presentation within CTM 2016, Norient and CTM curated additional works by Pedro Reyes, Tianzhuo Chen, Raed Yassin, Svetlana Maraš, Urs Hofer and hands on sound. More info here. Applications for the fall 2016 program open on January 4, 2016, and are due by February 5, 2016, 5:00 p.m. EST. Algeria, Bangladesh, Belarus, Bolivia, Brazil, Bulgaria, Burma, Colombia, Cuba, Ecuador, Egypt, Ethiopia, Ghana, Haiti, India, Indonesia, Iraq, Japan, Jordan, Kazakhstan, Kenya, Kosovo, Kyrgyzstan, Laos, Lebanon, Malaysia, Morocco, Mozambique, Nigeria, Panama, Pakistan, Palestinian Territories, Philippines, Russia, Senegal, Serbia, Slovak Republic, South Africa, Taiwan, Tajikistan, Tunisia, Turkey, United States, Venezuela, Zimbabwe. Filipino avant-garde composer Jose Maceda leading an audience in San Francisco in his ritual-music composition “Udlot-Udlot”. Yerba Buena Gardens, April, 2003, in English and more mostly in Tagalog. Author SyrphePosted on January 9, 2016 January 9, 2016 Categories Festival, Interview, News, VideoTags alternative, application, Berlin, Cairo, CTM, CTM festival, egypt, electronic, electronic music, Filastine, Maceda, music, Norient, Nova, Onebeat, Philippines, undergroundLeave a comment on Some news, music and video selection. I tried to use an iCalendar (you can see it on the right side of the page) but it doesn´t work so well : the hours are wrong even though my calendar shows the write time on other websites and it´s a bit of a pain to make updates here, sometimes some of the events don´t appear, so once or twice per week, I´ll post some events of interest connected to Asia and Africa and a few more. There will be some big events and festivals later this and next month in Berlin, Oslo, Tokyo, Kobe and Kyoto, I will soon add them. If you see something important missing, feel free to contact me. 28/F, Park Avenue Tower, 5 Moreton Terrace, Causeway Bay, Hong Kong. Dualism in action with Australian drummer / percussionist Will Guthrie. Performers: Will Guthrie + Dennis Wong aka Sin:Ned (Drum & Stick / AU & HK) Jasper Fung + Wong Chun Hoi (Electronics / HK) Olaf Hochherz + Wilmer Chan (Electronics & Double Bass / DE & HK) Admission: Pay What You Want. Facebook. 植野隆司, 柳家小春, 飯田華子, JON（犬）, 田畑 満, Hugues Vincent. (Jon Yon Sun a.k.a Jon the Dog, Iida Hanako, Yanagiya Koharu, Ueno Takashi from Tenniscoats, Tabata Mitsuru from Acid Mothers Temple, Hugues Vincent). Maze : Mehringdamm 61, 10961 Berlin, Germany . Jam : 41 Soi Rong Nam Kang (Charoen Rat Soi 1), Sathorn, Bangkok, Thailand FOG FIRE presents : A night of synthesizers, saxophone, computer, drums, experimental collaboration and improvisation. with : STYLISH NONSENSE (Thailand) JULIEN BOUDART (France) MINT PARK aka BAKAH (Korea/USA) SPACE MONKEY III (Thailand). 無限發掘 FINDARS : No.8, 4th Floor, Jalan Panggong, Kuala Lumpur, Malaysia. Yong Yand Sen & Kok Siew Wai, Hans Koch, Thomas Peter. Ambient music composer Siavash Amini (Iran) in Serenade music magazine. Serenade is a magazine devoted to music, only written in Farsi, find the interview here. You can also follow Serenade on Facebook and Siavash Amini too. Author SyrphePosted on January 4, 2016 Categories InterviewTags ambient, Amini, drone, electronic, Farsi, interview, iran, magazine, Serenade, امینی, سرنادLeave a comment on Ambient music composer Siavash Amini (Iran) in Serenade music magazine. Music is now more than ever integrated into the global circulation of ideas, knowledge, people and commodities. Musicians everywhere have increasing access to digital resources that revolutionize music making and distribution. Internet and telecommunications intensify exchanges across existing cultural boundaries. At the same time, extreme regional disparities continue to exist in regards to the participation of minority communities, to political freedom, possibilities for mobility and travel, or when it comes to access to entry points into the dominant music markets. This year CTM will include many artists from Lebanon, Turkey, Mexico, China, Indonesia, Japan, Singapore, Egypt, Tunisia, etc. CTM will also publish a magazine and some talks and lectures will happen in various places in Berlin. I´m happy to have been invited to write an article for the magazine and give a lecture during the festival too – more about this later this month ; meanwhile you can find plenty of informations, links, music, details and buy your tickets on the CTM website. Le1f [US] OG Maco [US] Jlin [US] Rødhåd [DE] Visionist [UK] Gesloten Cirkel [INT] Nidia Minaj [PT] Night Lovell [CA] Mumdance [UK] nkisi [UK] KABLAM [SE] Esplendor Geométrico [ES] Rabit [UK] Gaika [UK] André Bratten [NO] Buttechno [RU] zutzut [MX] Baris K [TR] Paul Marmota [MX] Praed [LB/CH] Slick Shoota [NO] Hmot [RU] Thug Entrancer [US] Takuya Taniguchi [JP] Why Be [INT] Resom [DE] Native Instrument [INT] gamut inc [DE] Alienata [DE] Purpurr Purple [NO] Charlotte Bendiks [NO] Low 808 [RU] Mobile Girl [DE] Laurent Jeanneau aka Kink Gong [FR] Beio [CN] Disco Halal [INT] feat Moscoman, Delfonic, Autarkic & guests Opium Hum [DE] Tara Transitory aka One Man Nation [SG/INT] Mikael Seifu [ET] and more. Udlot-udlot is a piece by Filipino experimental musician and composer José Maceda. The performance of the piece in 1975 was commissioned by the Cultural Center of the Philippines and the UP Prescounarts. Involving some 800 UP high school students in a public space, the performance was an experimental practice between repression and freedom during the years of martial law in the Philippines. See the images of Udlot-udlot in the Chabet Archive. Learn more from the talk and tour of the exhibition Udlot-Udlot by Hong Kong-based curator Inti Guerrero on 9 Jan, sign up now here.